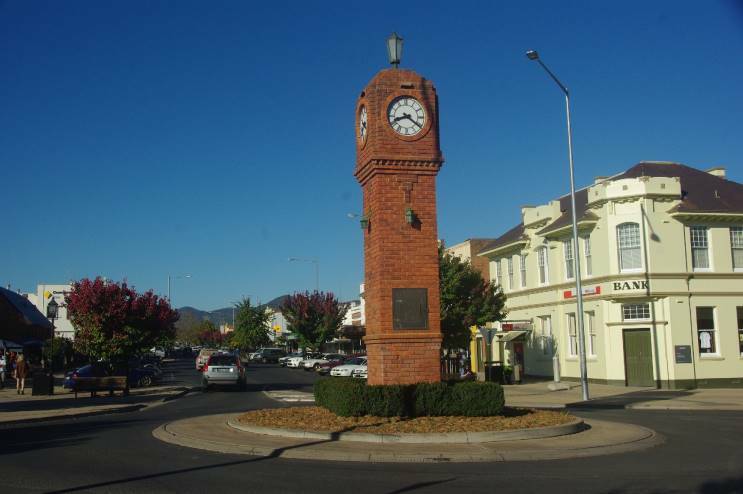 The Mudgee War Memorial Clock located on Church Street, Mudgee NSW. 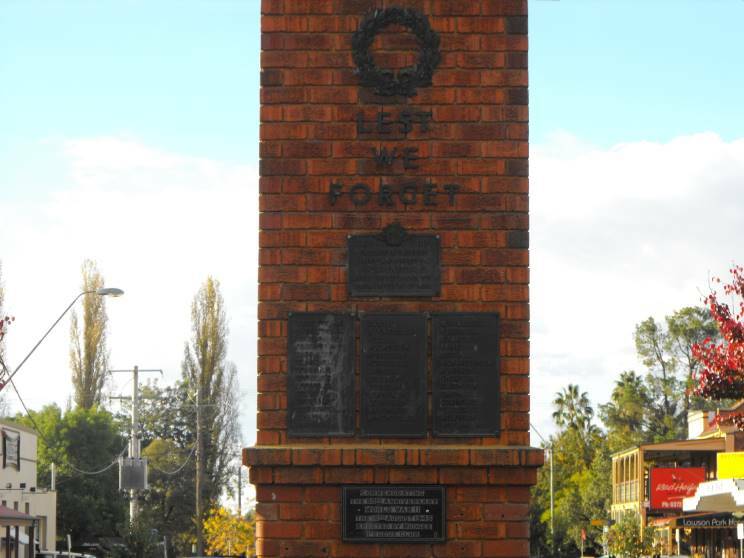 This commemorates those who served and those lost their life while on active service during World War II. 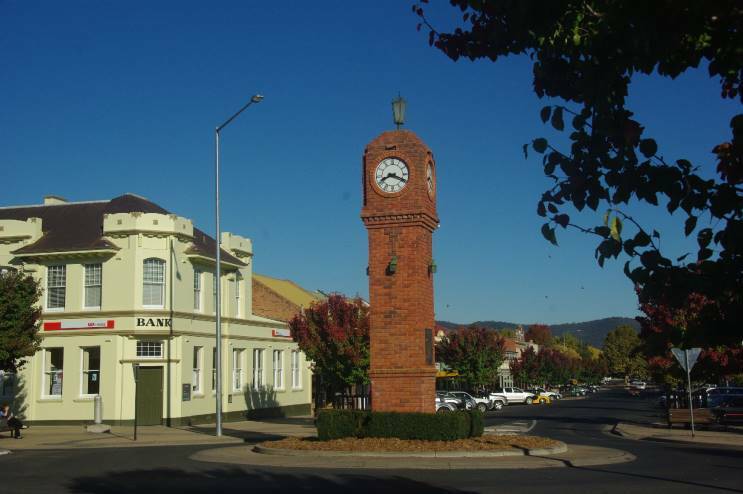 Another view of the memorial clock. 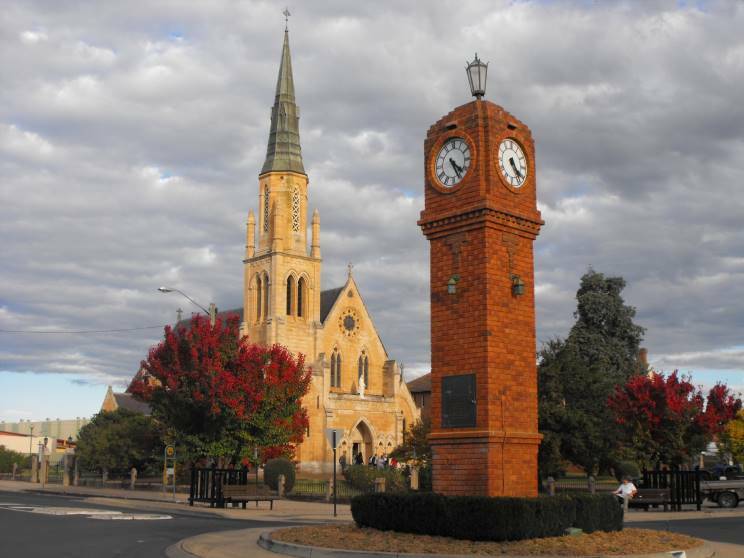 The plaques on the memorial clock. 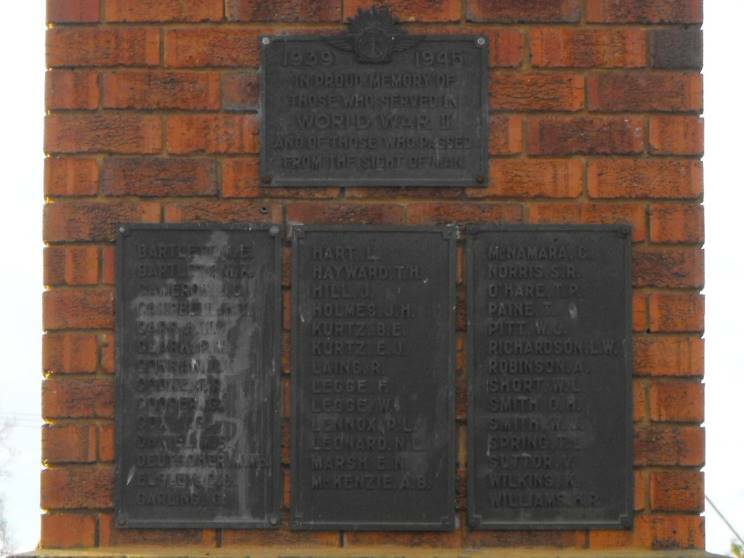 The top plaque reads: "In proud memory of those who served in World War II and for those who were passed from the sight of man". The bottom plaque commemorates the 50th anniversary of the end of World War II. Close up of the Roll of Honour.